Welcome to My Mystic Realms. In my pages you will find explanations of the spiritual disciplines that led me to understanding myself and the universe around us. 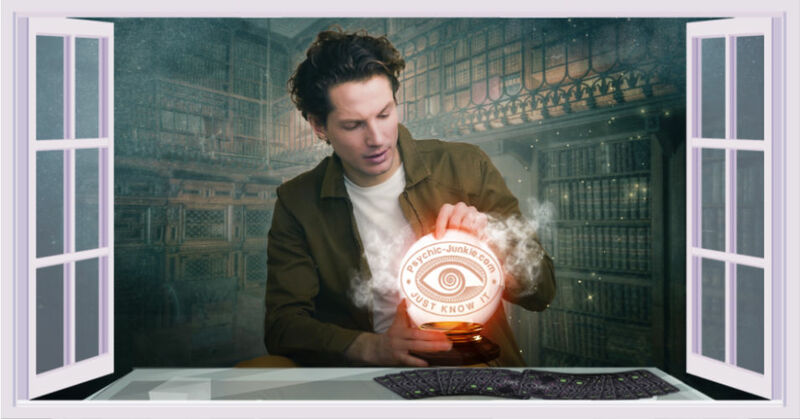 Whether you are simply seeking to learn what metaphysical wisdom is all about, or if you would like to become a serious practitioner of your Psychic Abilities, you have come to the right place! 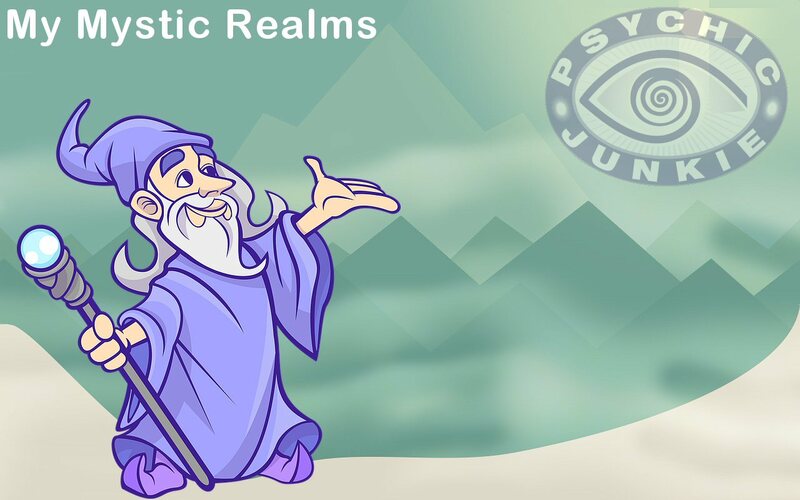 The terms metaphysics and mystic cover a broad branch of philosophy ranging from standard religious practices through to the occult and the mystic realms beyond. At first glance, it seems like a case of choose your own belief system, however, this is not the case. You will find that much of what is presented here is an adjunct and complimentary to most existing belief systems. The contents of my pages are meant to be of value to all. Do you want to know your future, or do want to shape your future? That is what is ultimately at stake here!  If you simply want to know your future, as it is, there are plenty of psychic readers who will advise you. However, if you want to shape your own future for yourself - then you have an exciting journey in front of you. That is the purpose and motivation of my writing about the Mystic Realms. You see, when you grow more spiritually aware, you are developing empowerment skills which help you to manage the direction of your life, in addition to being helpful to others. Thus apart from the many personal mental and spiritual benefits, you will find there are also many practical applications of metaphysical disciplines.  You may want to progress to becoming a professional psychic, or you may be satisfied with the confidence that knowing brings. How far you take it is up to you! My purpose is to be your guide. One of the best kept secrets of spiritual empowerment is that it is a two way street. As your skills increase, so does your influence as well as your self-control. Each of us has an innate sixth sense, that is, our minds acts as a radio receiver - when tuned in. To some people it is simply intuition, others see it is a spiritual gift, and to a few, it becomes a highly developed sense of empowerment. One of the wonders of the human mind is that your mind is not only a receiver, it can also be taught to transmit! Not only thoughts and ideas but also requests and desires – Law Of Attraction. Now, more than ever before, developing our innate abilities is taking on an ever greater importance. Like it or not, change is now upon us! In fact the present time is a transition from one age to another. We can either be part of the problem or be part of the solution. Either way, we are a part of it. The first type is aware of the minutia and events which influence the lives of individuals. The second type is aware to the changes to the big picture, historical events and shifts in humanity. Whilst I do have a foot in each type, I tend to lean to the second category. To me, the importance of aware (psychic) individuals influencing the direction of the mass of humanity cannot be overstated. It only takes a relatively small percentage of the population to be psychically or spiritually active in order to shift the overall outcome of events and expand our psychic world. Traditionally, this has been one of the roles of monastic living. Being spiritually aware by definition brings with it an empathy and caring for our fellow man. After all, we are all connected to each other at a higher level. As the Age of Aquarius begins to take shape, the would be war-lords, the power brokers and manipulators are finding their efforts becoming ever more frustrated as a growing wave of awareness sweeps through the collective consciousness of mankind. This present period of time, from the year 1999 has been called "The Age of Ethics" For the first time in history, leading figures are being called to account for their actions. A position of power is no longer a refuge from accountability. Global events to benefit the entire world and its population are now organized regularly. The rise of social networking is evolving into a loosely organised power for protest and instant resistance to oppression. The result will initially be seen as unrest, but ultimately will reflect the desires of mankind. “When the power of love overcomes the love of power, the world will know peace.” - Jimi Hendrix. Behind the scenes organizations such as the interfaith movement are dissolving barriers between faiths and building bridges of understanding between the great religions. Where once suspicion, mistrust and hate existed - to the point of being a catalyst for wars - now tolerance and understanding is growing. These changes in the spiritual fabric might not yet make the headlines, but they are out there and they are growing. It is becoming a whole new world out there - but it is not out there, it is a wave of inner peace which grows as more and more people come to the realization that they are all connected to each other as well as the planet in the mystic realms. People who only a few years ago were totally immersed in a self-centred lifestyle are for some reason finding them impelled to consider the larger picture. There are more souls now alive on the planet than have ever been. Every extra new soul born increases the ocean of total consciousness, on this plane, which is available to amplify our individual power. It is a time of transition from a level where man has a consciousness to a new higher level where man is consciousness. As humans, our path is our journey from a collection of disconnected, limited individuals, to an enlightened reality of where we are able to tap into the power of the pool of total consciousness for our growth as individuals. 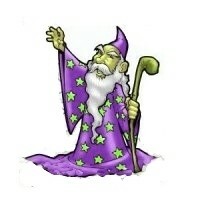 Follow Ian's (webmaster) journey through the mystic realms.